Coronoid fossa is an impression at the lower end of humerus just above the trochlea. 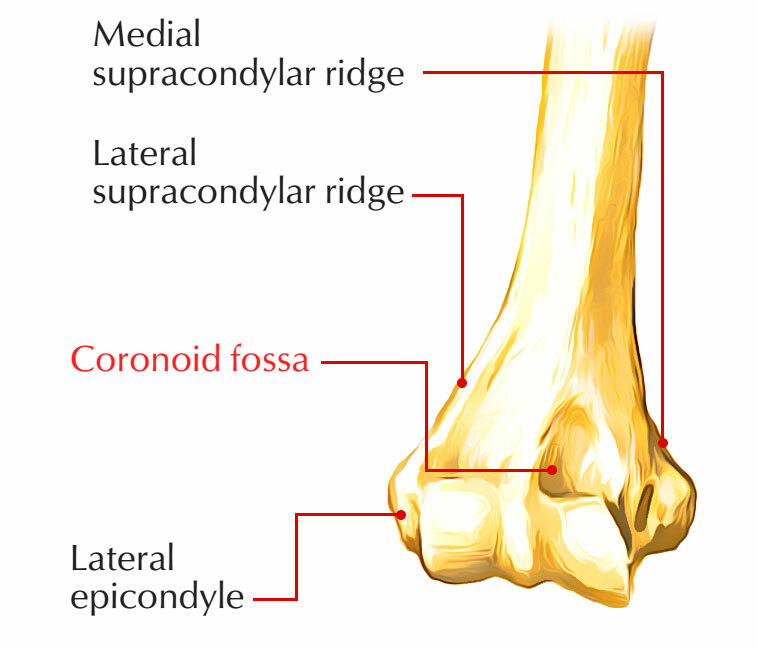 The coronoid process of ulna covers the coronoid fossa of humerus while flexion. At the lower end of humerus, the trochlear notch of ulna joins together with the trochlea. The trochlea is divided in a medial and lateral portion and is pulley shaped. Coronoid fossa is found in lower end of the humerus on the anterior side just above the trochlea. See the diagram above to know the exact position.